everything, from ski team practice to dance class, and even photo-bombing someone's wedding—until her daughter reminds her that maybe this smartphone wasn’t the best gift after all. 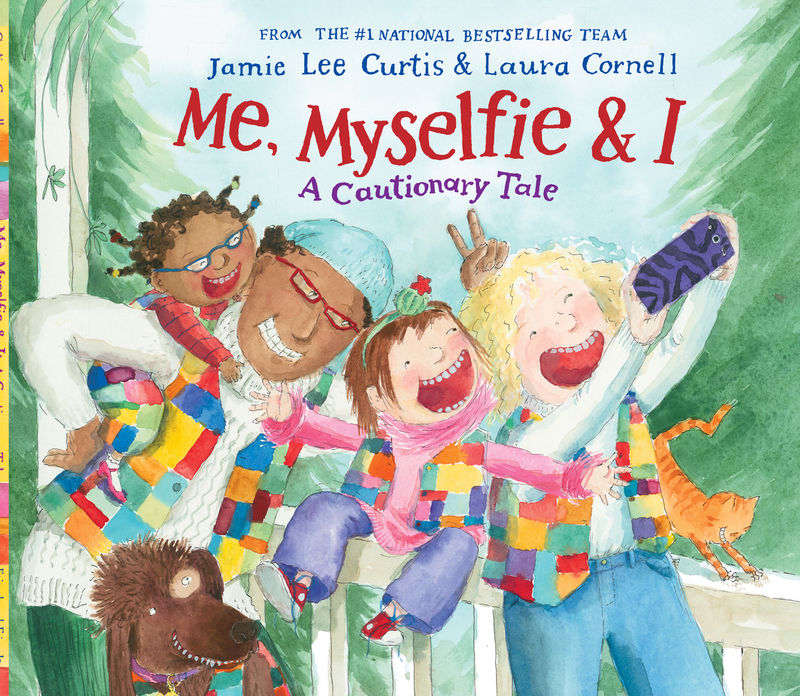 In a world obsessed with self-documentation comes a tale in Me, Myselfie, & I that shows us with humor and love that the best things happen while the smartphone is turned off. Jamie Lee Curtis is an author, activist, sister, friend, wife, and most importantly, mother. She is the New York Times–bestselling author of numerous picture books, including Tell Me Again About The Night I Was Born, Today I Feel Silly, I'm Going To Like Me, and My Brave Year of Firsts. 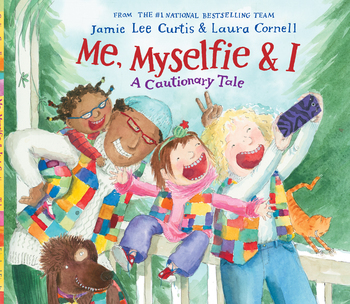 Laura Cornell is an illustrator, mom, handyman, gardener, swimmer, and bicyclist. She divides her time between New York City and Southern California.